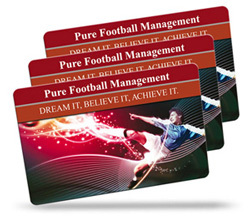 Our full colour plastic business cards are the perfect choice if you are looking for the ultimate durable solid plastic card. The printing is under the surface so it is protected from being worn away and as with all our cards, we print them in England which means we can deliver them to you very quickly and we offer free artwork for all orders. We have provided plastic business cards for all types of businesses, solicitors, accountants, photographers, insurance brokers, chauffeurs, gardeners, florists, builders etc. 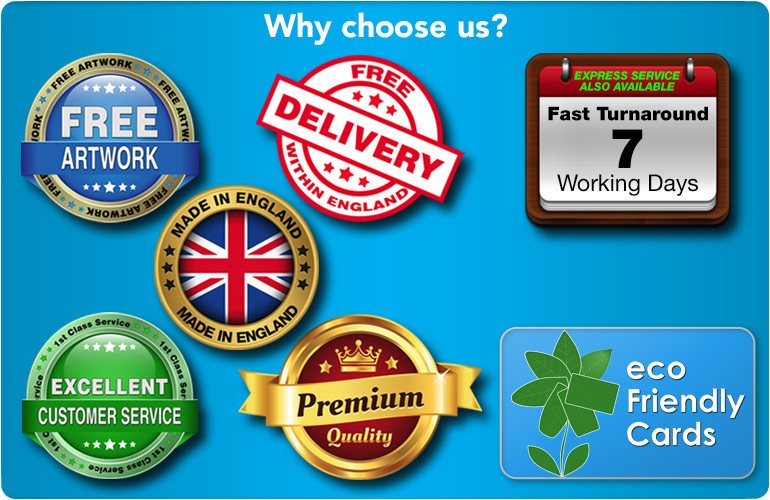 We specialise in offering the highest quality with quick and efficient delivery. 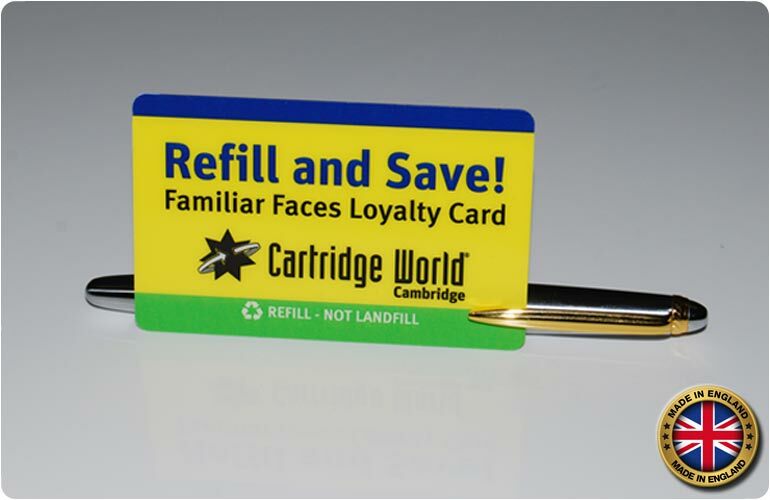 They can be printed on both sides in glorious full colour and the printing is under the surface to ensure it will not wear off over time unlike cheap surface printed plastic cards. 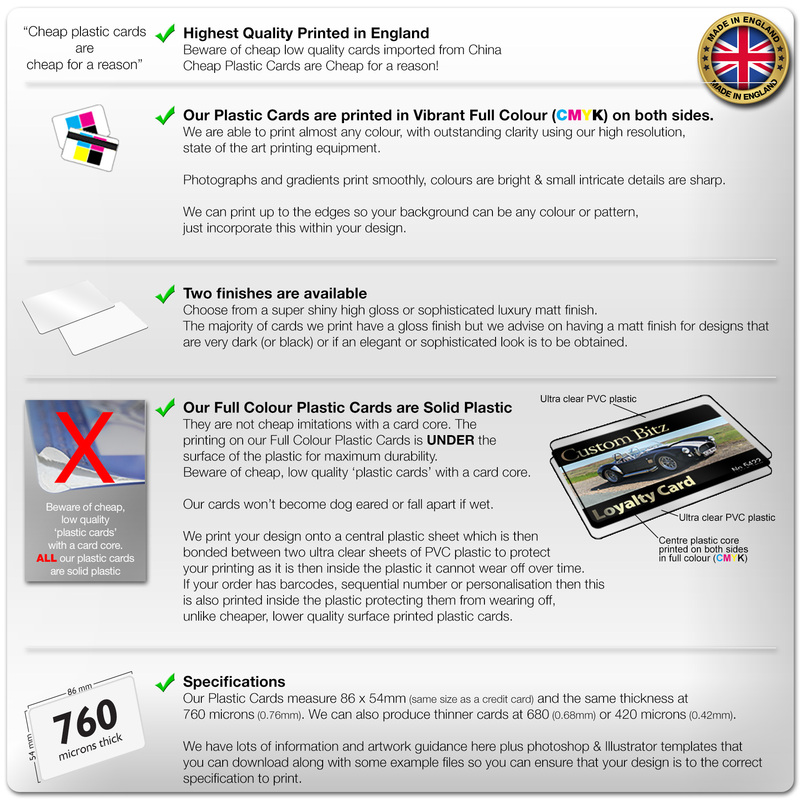 Our Plastic Business Cards are printed in full colour (CMYK) plus we offer a wide range of optional extras which include sequential numbering, signature strips, barcodes, magnetic strips, embossing. We offer free artwork for all orders so you can rest assured that ordering your plastic cards will be hassle free and your cards will print perfectly. 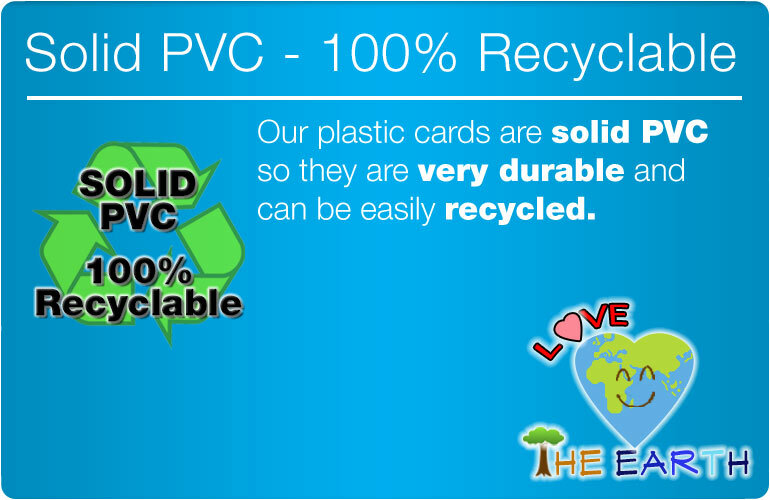 Our plastic business cards are the highest quality and are solid plastic. 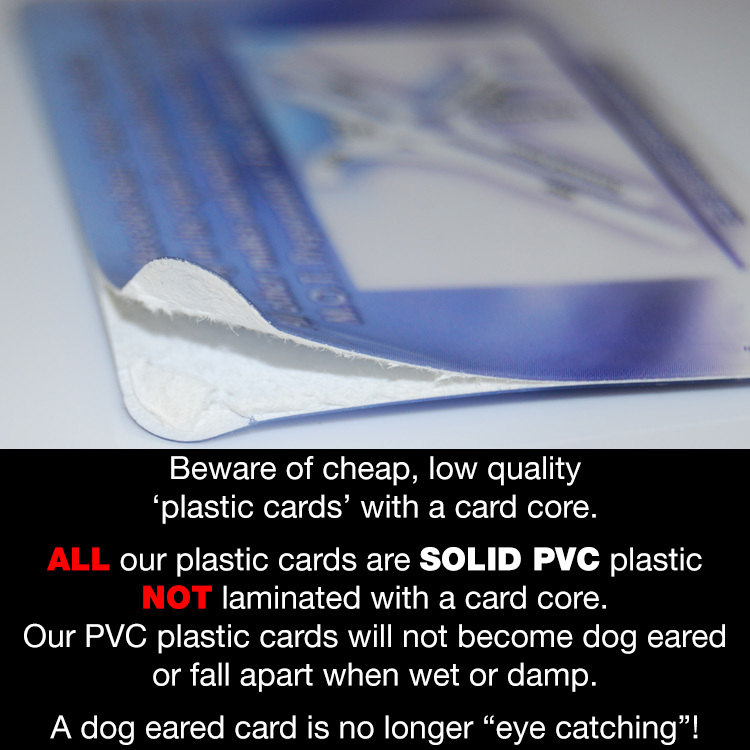 Beware of cheaper, lower quality paper core 'plastic' cards! 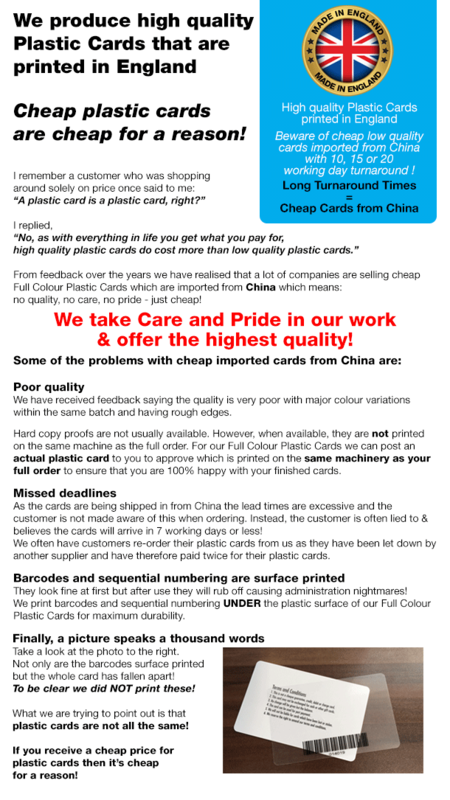 Our plastic cards are standard ISO CR80 size measuring 86 x 54mm and are 760 microns (0.76mm) thick. 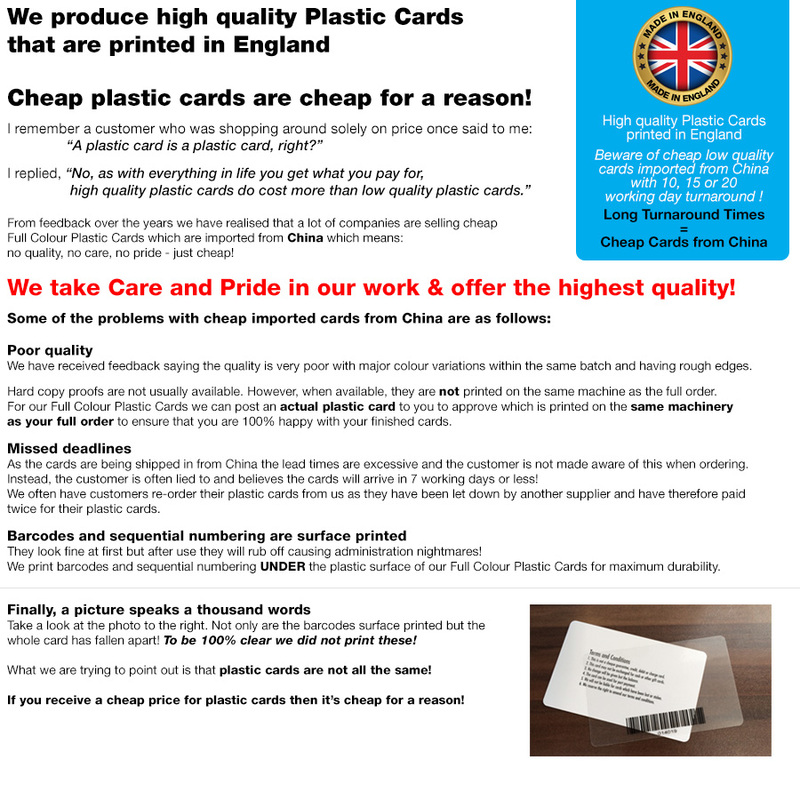 We also offer thinner plastic cards. We can apply either a super shiny gloss or luxury sophisticated matt finish. ….people are exchanging plastic business cards, not tapping their phones together. 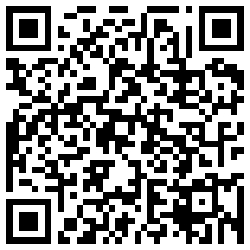 The tradition of exchanging business cards continues even in the age of smartphones. 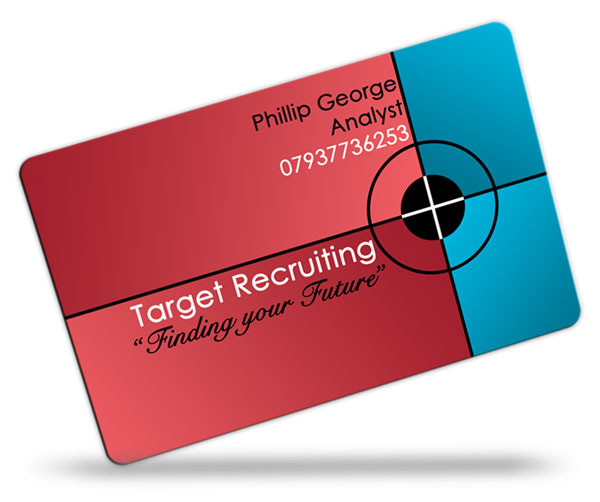 If you want to make a first good impression and establish a connection, a business card is your go-to, even before you contact a potential client, customer, supplier or business partner on LinkedIn, Facebook or Twitter. Business cards offer a personal touch that electronic lists just cannot. They are a solid investment for any company, professional or business owner, serving as a physical reminder of having met someone in person rather than trying to understand them via a Google search. All business cards are not created equal. Some are more attractive and compelling than others. Their construction is one of the factors contributing to their quality and the perceived value of your business. 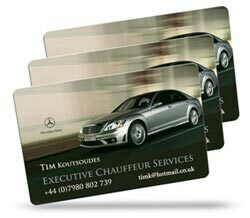 Plastic business cards trump their paper counterparts in this regard, and have become the preferred choice of savvy businesses and professionals not just in the UK but across the world. 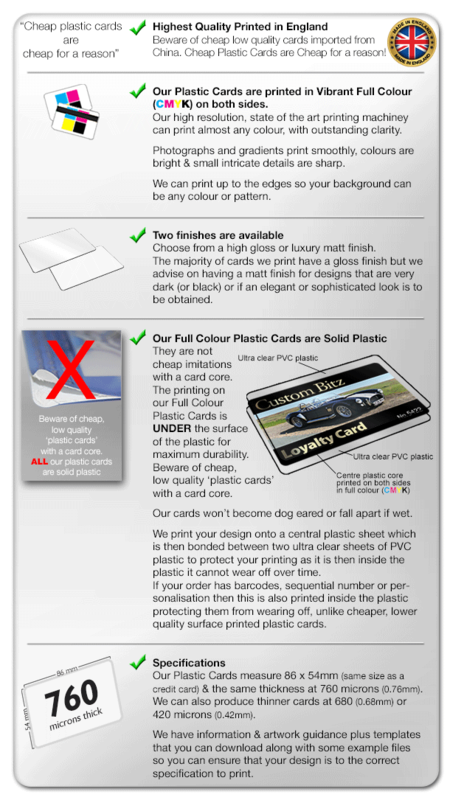 Full colour plastic cards are striking and never fails to create a strong impact. If you're looking for a vibrant and enticing loyalty, membership or gift card, going full-colour is an excellent option to explore. It can also work well if you're trying to drive conversations around your start-up, or work in a creative field or in the childcare/children's education industry. Plastic cards with vivid colours or with with a humorous message or imaginative artwork can speak volumes about your own skills and image. A fully coloured background can serve as a nice canvas to feature your own artwork from your professional portfolio. Among our clients who've provided their own sketches are visual creatives, photographers and designers. 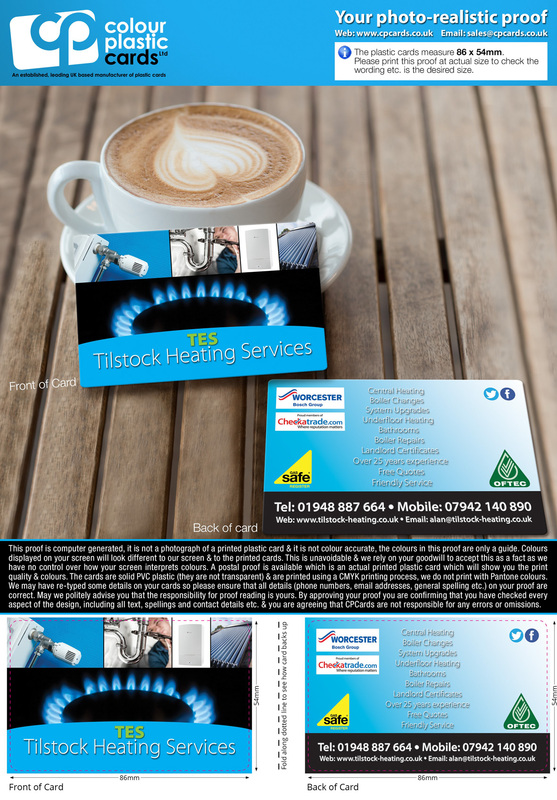 Differentiate your business and stand out from the competition with memorable full coloured plastic cards that resonate with people. The point of a business card is to make people remember you for a long time, if not permanently imprint you in their minds. With continued use and after recommending your business a few times, your brand will become unforgettable. Your business card deserves some credit for making you memorable! 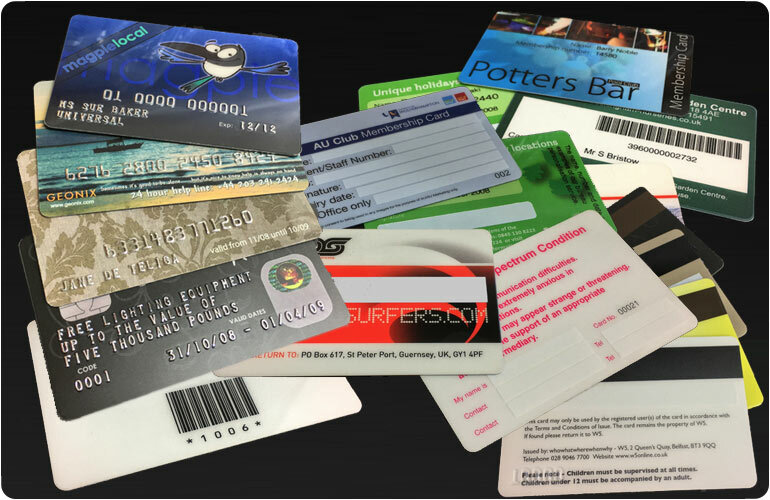 As our plastic cards are printed in colour under the surface, the shades are rendered brightly and accurately. Leverage sharp graphics and bright colours to be seen 'first' when customers open their wallet. 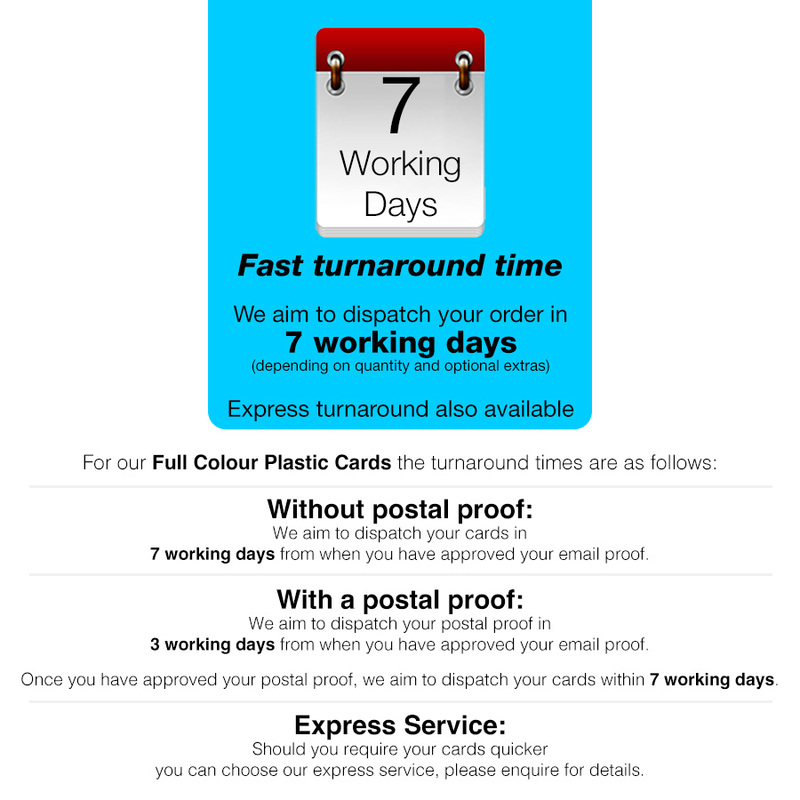 Have a look at how we can create engaging full-colour plastic cards to suit various business requirements. Plus we will email a photo-realistic proof to you to approve. 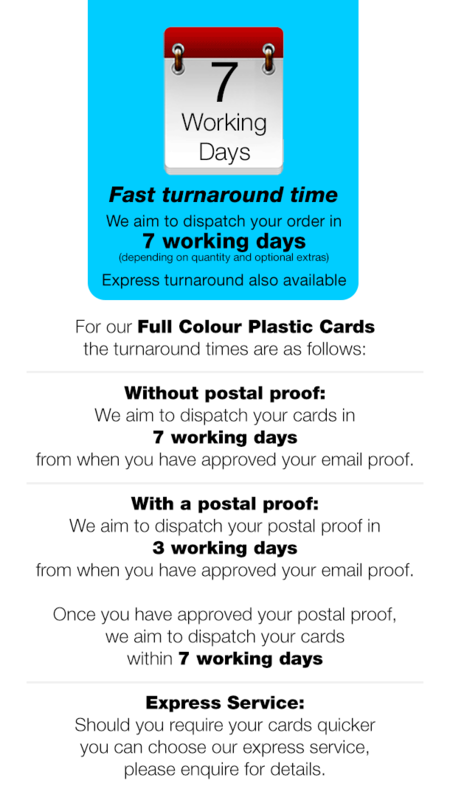 Our Plastic Business Cards are solid plastic and are printed in vibrant full colour (CMYK) on both sides under the surface for maximum durability. Choose from a high gloss or luxury matt finish. 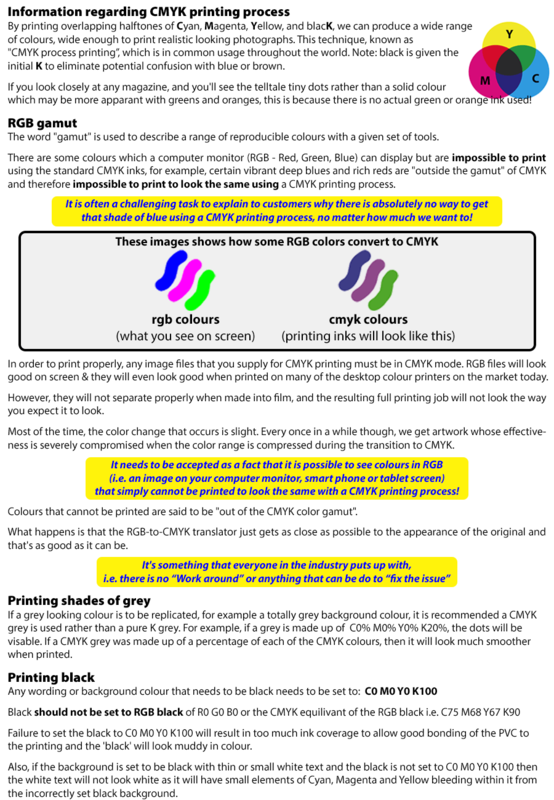 We have artwork guidance to help you create your artwork in the correct way so your plastic card order is processed as quickly as possible. 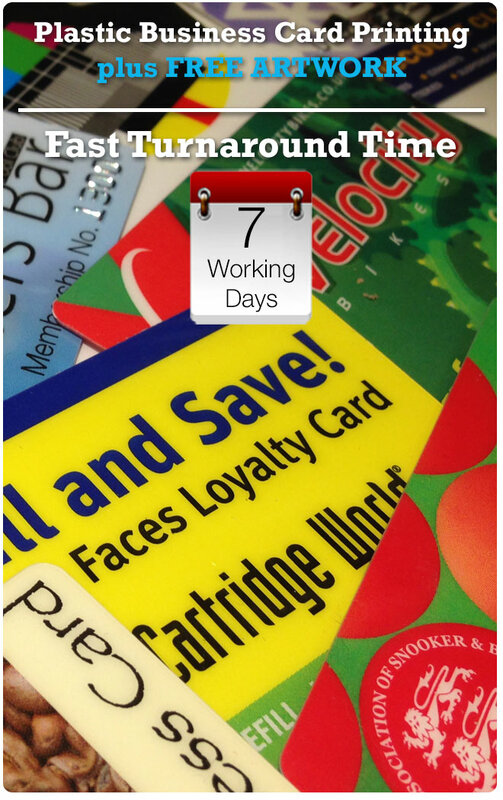 We have many plastic card examples to give you ideas and inspiration. 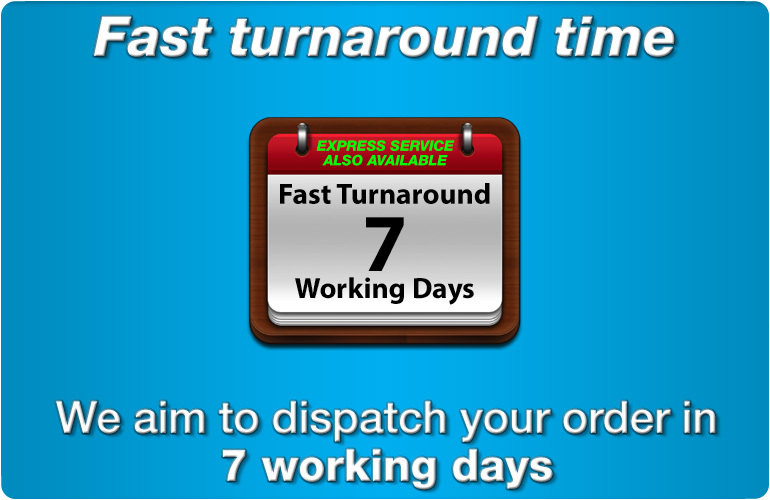 Learn how quick and easy it is for you to place your order with us. A business card doesn't have to be 'all business'; designers and creatives are adding snippets of their work and even their Instagram feed on the back of their business cards. The modern business card isn't a calling card, it's a representation of your business and capabilities. It can be humorous, edgy or a piece of art in itself. Of course, it can also be strictly professional with only your name and contact information, but it must be elegant and appealing. How do plastic business cards outperform paper cards on aesthetics? In two key ways, actually. Colours render extremely well on plastic. Compare a vibrantly coloured plastic card with a full-colour paper card and you'll instantly see the difference. A plastic business card is more visually stimulating and holds your attention longer. The tactile appeal of plastic business cards cannot be replicated by paper. They are more substantial and smoother to touch, which enhances the experience of holding and handling them. If you're looking for something shiny and glamorous, a high gloss finish is ideal. For a refined and somber look, a luxury matte finish is the more suitable option. 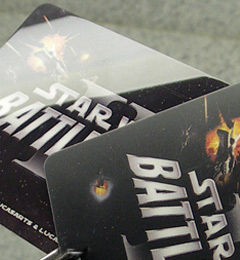 Continuing from the point above, a variety of artwork and design render well on plastic. A plastic medium allows room for versatility and creativity in a way not possible with a paper base. This is a unique advantage that enables our clients to specify exactly what they need and get it done beautifully! 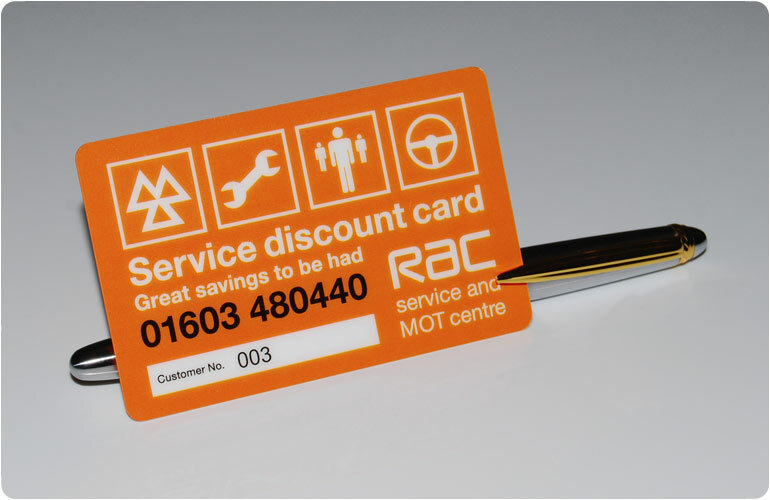 We get a number of requests for optional extras such as embossing and for membership cards and loyalty cards, magnetic strips and signature strips are a part and parcel of the order requests. 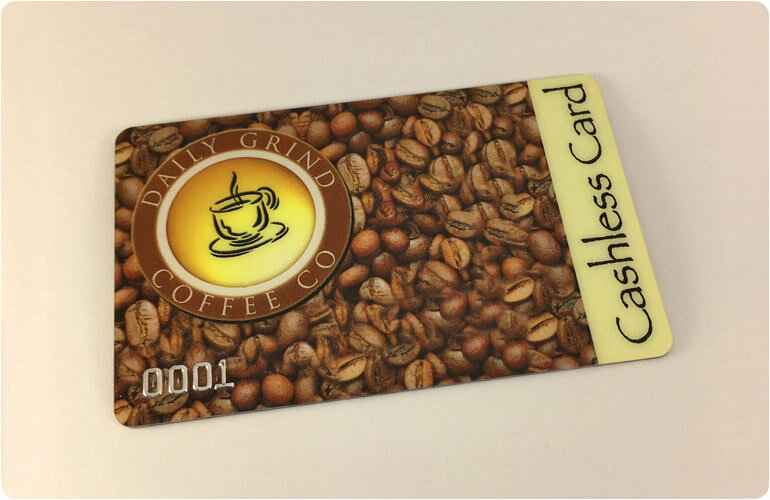 Plastic is best suited to these applications, and allow not only us to expand our range of offerings, but also enable you to create cards that serve dual purposes. Where there is a requirement for NFC cards embedded with NFC chips to trigger single-tap sharing of phone numbers, website links and social networking profiles to smart devices, plastic is the default material. Make an unforgettable impression with plastic business cards and position yourself as a company/professional who stays ahead of the times. It starts here – go for it.